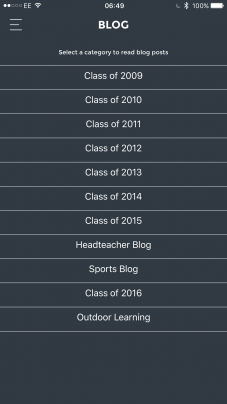 Use an easy to follow wizard to set up your school app in just a few minutes. Our easy to use software saves you time when updating your app, and if you've got a Schudio website - your updates show on your app and website! What's in the app? 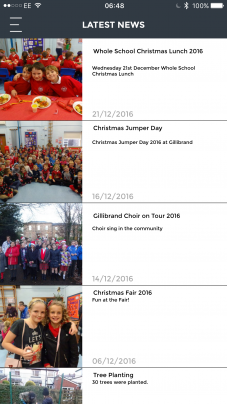 News, Events, Announcements, Blog, Calendar, Term Dates, Absence Reporting and more. Customise your app to make it yours. 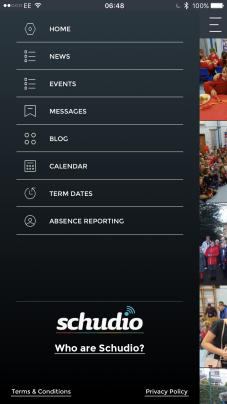 Add your logo and so your app look and feel a true part of your school communications. 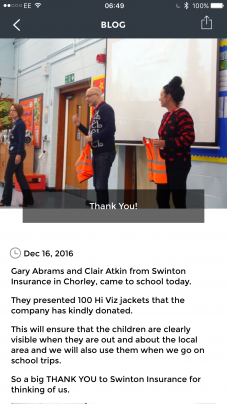 Send timed push notifications to parents and students so you keep in touch with your school community effectively. The Schudio app works with your device's accessibility settings to make your content available to all. 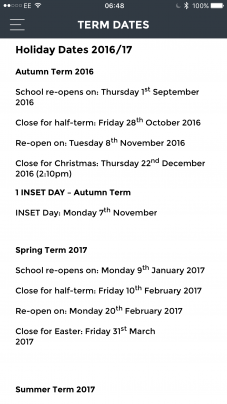 Link to Facebook, Twitter and Youtube and of course your school website! Yes, that's right - it's available right now for free. And it always will be, no trials or introductory periods. Free forever. 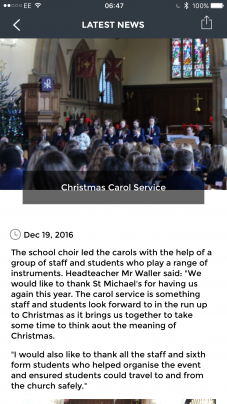 Your School App - FREE, minutes to set up and incredibly easy to use! Free For Everyone Forever, a stunning, easy to use app. Free to schools, parents and students. Don't spend money on a school app, try this one for free. Only click this button once - there might be a slight delay before this form springs to life while it's doing some clever tricks in the background. "Feedback from website visitors is overwhelmingly positive. Current parents comment on how easy it is to access the information they need whilst prospective parents often tell us what a great first impression the website gives." 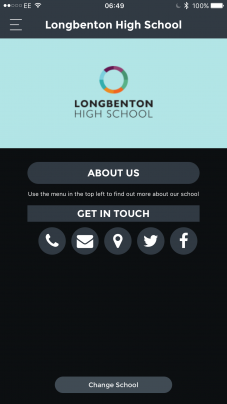 Or if you'd prefer a customised app for school click here.